Every salesperson craves reliable, steady revenues and booming sales all year long. According to Colleen Francis from EngageSelling.com and author of Nonstop Sales Boom, you’ve got to be a hybrid salesperson in order to bring balance to your selling process and get rid of the peaks and valleys. Find out how you can find better leads, fuel your sales funnel consistently, and build more value for your customers on this week’s episode with George Leith. Listen now! George: It’s another edition of the “Conquer Local” podcast with the privilege of having Colleen Francis from engageselling.com and the author of the book “Nonstop Sales Boom” on this week’s edition. She’s worked with over a thousand leading organizations over a 20-year career. I’ve got some questions for her. We’re gonna dig into her new book and it’s all coming up. Colleen Francis from engageselling.com is next on the “Conquer Local” podcast. Real pleasure to have Colleen Francis on the line all the way from Ottawa, Canada. Colleen, how are you? Colleen: I am doing great, thank you very much. How about you? George: Oh, I’m fantastic and always like talking to sales leaders in the podcast. 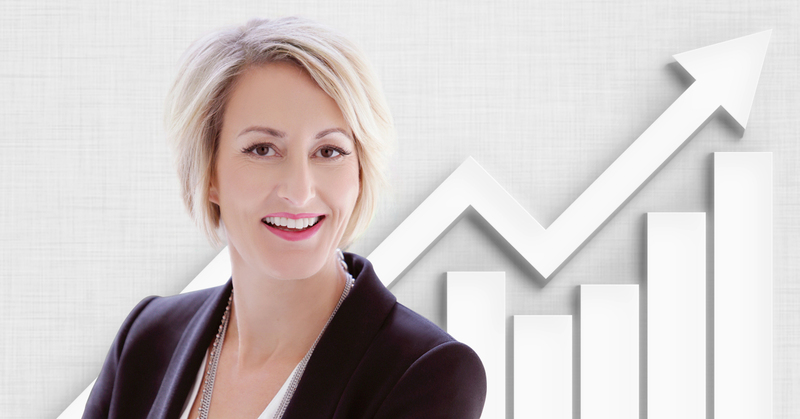 I was wondering if you could give our listeners a bit of an overview of Colleen and how you arrived at being one of the top sales trainers in Canada and a member of the Speaking Hall of Fame. Colleen: I’d be happy to. You know, I have a long history in sales. I came by this career…honestly, my dad was a salesperson and a sales manager and he used to take me on the road with him when we had days off from school. So, I’ve been selling since I was probably five. I like to say I was kind of like the in-person incarnation of the, you know, “baby needs a new pair of shoes” closing take. George: Well, it’s an interesting closing technique to bring your daughter along on the call. And would you wear good shoes or would you wear, you know, a dilapidated set of shoes? Colleen: I don’t remember that. But, you know, I do remember when my dad came home with a revolutionary new device called a “beeper,” and that was the beginning of sales technology in our household. You know, it was really funny, as I grew up in sales, you know, and my dad morphed into sales leadership and he morphed from a beeper to a pager to a car phone, I should say, and then to a cell phone and then to email. And then, of course when I moved into sales right out of my university degree, it’s been fascinating for me to watch how technology creates efficiency in sales and how salespeople are just able to produce so much more now with better sales techniques, better methodology, better technology, better tools. And I started consulting 17 years ago after a long career in different industries. I’ve sold life insurance and employee benefit programs to local businesses, and I’ve sold technology globally from, you know, my home base here in Ottawa. So, after that kind of a career, I just decided that I really wanted to focus my energy on helping salespeople grow, helping companies grow, and I started the consulting business. George: It’s an interesting career that you’ve had. And I, you know, had the privilege of reading your book and I’ve watched a number of your presentations as I was preparing for this podcast. I’ve been very anxious to have a conversation with you because I’m looking for some feedback on what trends you’re seeing in this massive transformation that’s happening in sales, and it seems to have really accelerated in the last couple years. Colleen: Yeah, it really has. So, the big trend that I’ve been talking to salespeople about is how we have to adapt our selling style to be hybrid sellers. And by hybrids, I mean the best salespeople out there right now are really strong marketers on the frontend of the sales cycle and really strong sellers on the backend of the sales cycle because they know that buyers tend to be hiding these days until they’re ready to make a purchase. So, they’re not responding to traditional cold calls anymore, you know, be it a physical, you know, door knocking techniques or even on the phone. They’re doing research. They’re looking at you online. They’re visiting your websites. They’re engaging with you on social media. And sellers who produce massive amounts of value and put themselves out there and able to be found, which are typically traditionally marketing techniques, find the best quality leads. So, this hybrid salespeople really have to learn how to give a lot of value away for free at the frontend of the sales cycle. Otherwise, people aren’t just gonna pay attention to them. And when I first started selling, we gave nothing away for free. George: I’m with you on that. And it really does go contrary to the way that, you know, you and I started in the space. But it seems the more that you do give and the more that you do nurture, the bigger the opportunity is down the road. So, if you’re a new salesperson and you’re just starting selling for the first time, what are some things that you would recommend to a new salesperson? Doesn’t matter the industry. Colleen: Well, first of all, building the network. Now, I mean, that’s age-old advice, right, building connections, building networks and nurturing that network. The difference today is that we have to do that on and offline. So, my opinion is that people are more important in the sales process than they ever have been before. That old saying, “People buy from people,” 100% true. It’s just that there are 10 times more people involved in your sales cycle these days, many of whom you don’t even know because they’re reviewing you on Google or LinkedIn or Yelp or wherever it happens to be in the local space and they’re affecting your ability to grow the business. So, your job as a new seller is to be everywhere online and offline and building a massive network so that you can create positive influence in the marketplace. You create word of mouth ultimately and those people can help you find new customers. You need access to their networks in order to prospect effectively in this marketplace. George: And the other piece of this, you know, it really does take a work ethic because it’s an ongoing process. Colleen: It takes a work ethic. It takes discipline, because you know what it’s like. You get onto LinkedIn or Facebook or the web generally, and you can be on there for hours and accomplish nothing. So, you have the discipline to stay focused and you have to have a mindset of ubiquity. When I wrote “Nonstop Sales Boom,” we talk about this concept of ubiquity being you have to be everywhere, all the time, so that people say…even if your brand-new people say, “Man, I see you everywhere, I should probably talk to you.” Or, “I see you everywhere, you must be really good at what you do,” or, “You must be the brand leader.” And so, then they’re naturally compelled to want to be with you, to connect with you because they feel like you’re a leader in the industry. So, the discipline is really critical. Ubiquity is critical. And then, a generosity of spirit, so selling value or delivering value. People will say to me, “Well, is value the same as educating clients on who we are?” No, not really. You don’t want to pitch who you are or pitch your solutions. You want to show people how you can solve problems that they might be having. George: Dennis Yu, who was on a podcast with us a couple of weeks back, said something around we’ve really got to get over the fear of being a self-promoter if we’re going to be successful because you have to brand yourself. That’s really the thing that’s gonna set you apart. George: Right. You know, it really is around that building value and I find that that’s one of the toughest things in teaching a new salesperson. And even salespeople that have been doing it for a long time, they may not even recognize how important it is to bring that value. George: Let’s talk a little bit about the book. When you come to your website, which we have the links to the website here in the transcript of the podcast. But when I come to that book and when I started to dig into it, it’s a fantastic read. It’s obvious that you’ve done this for a while, and you have a lot of experience and you share some stories. What would be one of your favorite stories that you’d like to share? Colleen: You know, one of my favorite stories, it’s a really simple one, comes from a client of mine who is in the agricultural supply business and he started to sell nontraditionally. And traditionally in agriculture is you get in your truck, you drive down the road, you meet with the farmer. You don’t make an appointment. You drive up the road. You know, you maybe even hop in the combine with him and just, you know, sell. Well, Chris decided that he needed to see more people than that would allow and so he started using the phone. He started using email. He started putting stuff in the bale, which I know sounds really old school to us. But an egg, that was actually fairly new school. And interestingly, he started outselling everybody on his team. On a $7 million quota, I think he did $10 million one year and he was blowing his numbers out. George: Yeah. You know, I caught myself sometimes in sales management where you have this process in place and you know that it’s gonna work, and when somebody does something outside of the way we’ve always done it, there’s always a bit of fear there. But if you can show the results…and it’s interesting because, you know, while some of those things may seem old school to those listening to the podcast, I think the real lesson in that is thinking outside the box and trying things that others aren’t trying so that you can differentiate yourself from the competitors. George: You know, the theme of the “Nonstop Sales Boom” is to get rid of the peaks and the valleys. George: And, you know, I don’t mind a valley if I’m still above budget. But I think the idea is as salespeople, we’ve all had this…you know, we were talking yesterday with a sales manager. He was like, “How do I help…” And I won’t use his name, so let’s say, “How do I help Tony? He’s so hot and cold.” And that’s really what the book is all about. So, what’s one lesson that we could take from that on how to level that thing out and have that nonstop sales boom? Colleen: Prospecting every week, every day if you can. So, adding new leads to the top end of that funnel or new opportunities to the top end of the funnel is the single most important thing you can do to even out your sales flow. Because the reason people have peaks and valleys is when their funnel is full and it’s hot and they’re closing, which is the fun part of our business, they stop adding new leads to the pipeline. So, then their pipeline dries up and then they have to do nothing but put new leads in the top end for 30 days or 60 days and they have nothing to close. So, if you can get in the habit of, even if it’s just two or three calls or, you know, some lead generation on LinkedIn, or some nurturing of old customers, or asking for referrals so that every day something new is being put into the pipeline, you’ll have an even flow of opportunities. George: And it seems so simple when you say it so eloquently, but it’s the discipline that really is the key. Do you have any suggestions on how a salesperson can stay disciplined? Colleen: Yeah. Blocking out the time. You know, putting the time in your calendar like it’s a non-negotiable in your schedule. I encourage sellers who need to get into this habit to do it first thing in the morning, because you tend to get it done if you put it on your schedule for 8:30 or whenever you start in the day. If you wait, if you just say, “Oh, I’ll get to that later, I’ll get to that later,” it never gets done. Block it in first time of the day, give yourself an hour or half an hour, and just make those calls or send those emails. Where are all the great salespeople? George: You know, it’s interesting. When I look at this resume on your website, we’re talking about some of the leading brands in the world. You’ve worked with Merck. You worked with Merrill Lynch. You’ve worked with Dow AgroSciences. And you’ve worked with UBM, the Royal Bank, and over a thousand other organizations. Yet when we talk to these organizations, they say, “Where are all the great salespeople? If I could find some, I’d hire them tomorrow.” Why do you think it’s so hard to find great salespeople? Colleen: Well, I think there’s two things going on. I think, one, what makes a great salesperson now is different from what made a great salesperson 10 years ago. And so, I think they’re having trouble finding people who fit into the new model, which is tricky. I also think that great salespeople don’t leave where they’re at, right? Hard to recruit. These companies have to figure out a way to hire young, new people or people from outside of the sales industry and invest in them to become great salespeople. And far too many companies hire people that they think might be good and they don’t invest in their education, they don’t invest in coaching, and so people leave and go somewhere else. Colleen: Yes, absolutely. “Nonstop Sales Boom.” I really wrote this book to drive powerful strategies for consistent growth year over year and to stop salespeople from believing that it’s a necessary evil to have booms and busts, peaks and valleys in your sales cycle. George: Colleen Francis, our guest. Really appreciate your time today. Thanks for joining us on the podcast. Colleen: Hey, my pleasure. Thank you. George: If you are in one of those valleys that we all go through in the sales business, make sure that you keep moving. The last thing you could do, the worst thing you could do is nothing. Keep prospecting. Keep speaking to people. Keep getting your name out there. Spend some time connecting with people on LinkedIn and make sure that you stay disciplined. If you continue to prospect on a day-to-day basis, and she even goes as far as saying routinely block it in your calendar, it’s just, this is my prospecting window that I do every week, you’re going to really even out those peaks and valleys and have, as she calls it, the “nonstop sales boom.” So, great having Colleen on the show. As always, my name is George Leith. I’ll see you when I see you.